A good starting place is Pinterest, magazines or kitchen websites. You can use these to get creative, start your mood board and gather your ideas. Pinterest is great for quirky ideas and options; Check out our Pinterest page https://www.pinterest.co.uk/hytal/. Magazines and kitchen websites will help you narrow your choices from type and style to colour and finish of door. 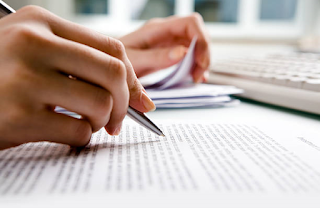 You should also start to think about your budget and be realistic. Don't expect a top of the range kitchen with marble worktops and high end appliances for £5,000 because that is extremely unlikely. And, don’t be taken in by online adverts claiming that they can provide you with a complete kitchen, including appliances and solid surface worktops for £3000. If you can get a deal like this (which is very doubtful) the kitchen will not be of any quality and is unlikely to last. So in the long term, would probably not be a cost effective option. We are all guilty of bargain hunting, but just be aware that if it looks too good to be true, it probably is. After you have gathered some information, it's time to go shopping!! 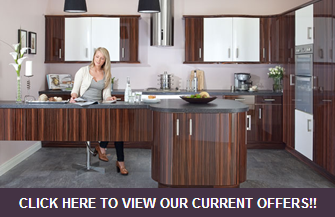 Get yourself across to your local kitchen showrooms to see and feel the quality and choice of the kitchens on offer. Of course you should pop into your local DIY store to check out their offers, but just be aware that the product they offer will differ greatly from an independent showroom. You should get better value for money from an independent showroom as the kitchen should be a better quality with a longer guarantee and the service you receive should be very personal compared to the bigger stores. And you'll probably discover that the prices are quite similar. Don’t forget there's more to your kitchen than just the doors. You should be looking at cabinet quality and choice of colour, worktop choice, appliance manufacturers, sinks, taps, handles and any accessories you would like to include. Most kitchen showrooms ask you to carry out the initial measure yourself. You should take the measurements into the showroom where they will design a kitchen to your specification and produce a quotation. Aim for at least three quotations to make a fair comparison. But make sure you are quoted like for like, otherwise you could be missing out on your dream kitchen. And remember, if you can't afford your dream kitchen right now, it might make more sense to save for a few months rather than regretting a hasty purchase. Once you have received all of your quotes, be sure to check the small print. Check the deposit requirements and payment terms, delivery options, installation options and guarantees. Does your chosen company offer additional services such as carrying out electrical work, plastering or tiling? Will they remove and dispose of your existing kitchen or are you required to provide a skip? And finally, will they send someone to carry out a pre-installation survey to ensure your measurements are correct? So, how do you choose? Well, whichever company offers you the most of your criteria and falls within your budget. Of course you need to have 'that' feeling about your purchase, because you will be seeing your kitchen several times a day for many years to come. Buying a kitchen should be an exciting experience, so if at any time you feel pressured you should take a step back and re-evaluate your options.